Globally, cardiovascular disease (CVD) remains the leading cause of mortality and morbidity, accounting for some 18 million deaths worldwide in 2015, and this is expected to grow to >23.6 million by 2030. The biggest cause of cardiovascular death is ischemic heart disease (IHD), for both men and women. Global CVD rates rose by 12.5% between 2005 and 2015, with deaths attributable to IHD increasing by 16.6% to 8.9 million deaths, whilst age-standardised mortality rates fell by 12.8%, reflecting improved survival. IHD is largely attributable to atherosclerosis, a complex, chronic inflammatory process, determined by both genetic and environmental factors. 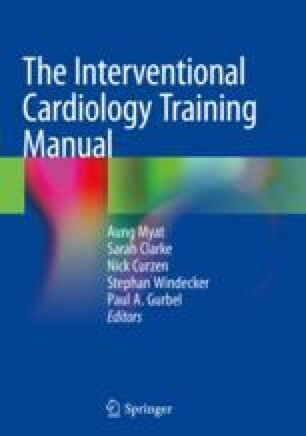 Advances in the understanding of atherosclerotic plaque morphology, acute alterations in plaque morphology associated with acute coronary thrombotic events, and the complex interplay with a prothrombotic milieu and inflammation, have led to the concept of a “vulnerable patient”, rather than just a vulnerable plaque. There remains an important, ongoing need to further reduce mortality and morbidity from IHD, and an appreciation of the pathophysiology of IHD is essential to enable this.